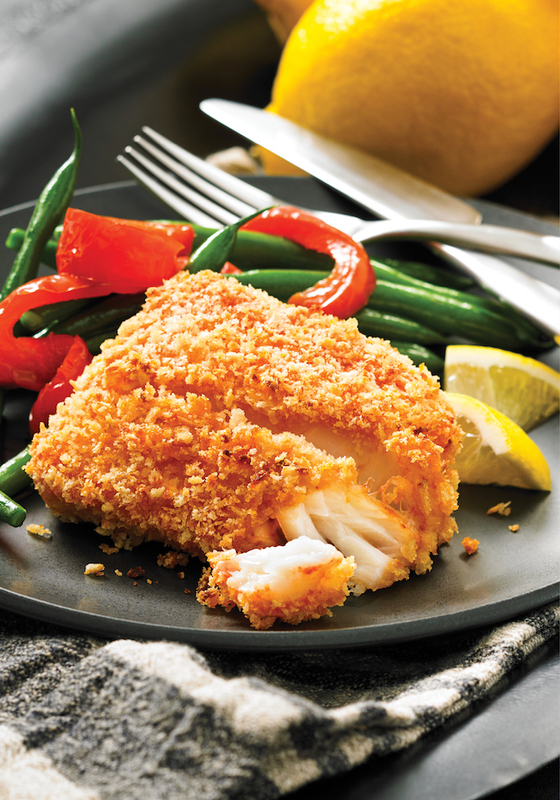 Crispy Cod recipe from 5-Ingredient Air Fryer Recipes. Honey can be used for so much more than sweetening tea and drizzling on scones; here, it works in tandem with Sriracha, lending deep flavor to cod fillets. Crispy Cod recipe courtesy of 5-Ingredient Air Fryer Recipes by Camilla Saulsbury © 2017 www.robertrose.ca Available where books are sold. Honey can be used for so much more than sweetening tea and drizzling on scones; here, it works in tandem with Sriracha, lending deep flavor to cod fillets. Other varieties of hot pepper sauce can be used in place of the Sriracha. The thickness of cod fillets can vary significantly. Reduce the minimum cooking time by 1 to 2 minutes for thinner fillets and add extra cooking time for thicker fillets as needed. Spread panko in a shallow dish. In another shallow dish, stir together Sriracha and honey until blended. Working with 1 fillet at a time, dip in Sriracha mixture, shaking off excess, then dredge in panko until coated, shaking off excess. As they are dredged, place fillets in air fryer basket, spacing them evenly. Spray with cooking spray. Discard any excess Sriracha mixture and panko. Air-fry for 9 to 13 minutes or until crust is golden brown and fish flakes easily when tested with a fork. 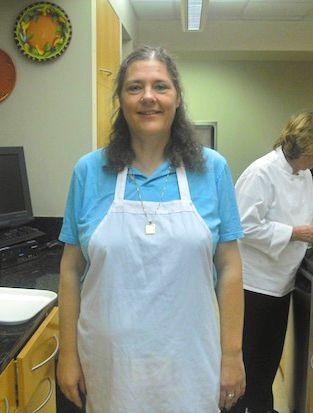 If you enjoyed this recipe, be sure to check out my 5-Ingredient Air Fryer Recipes cookbook review which contains a Pecan Pie Roll-ups recipe, as well as an Asian Barbecue Chicken Wings recipe, both of which I have shared with permission of the publisher. You can learn more about this cookbook and many others on the Robert Rose, Inc. website. You can also keep up with Robert Rose Books on Facebook, Twitter, and Pinterest. 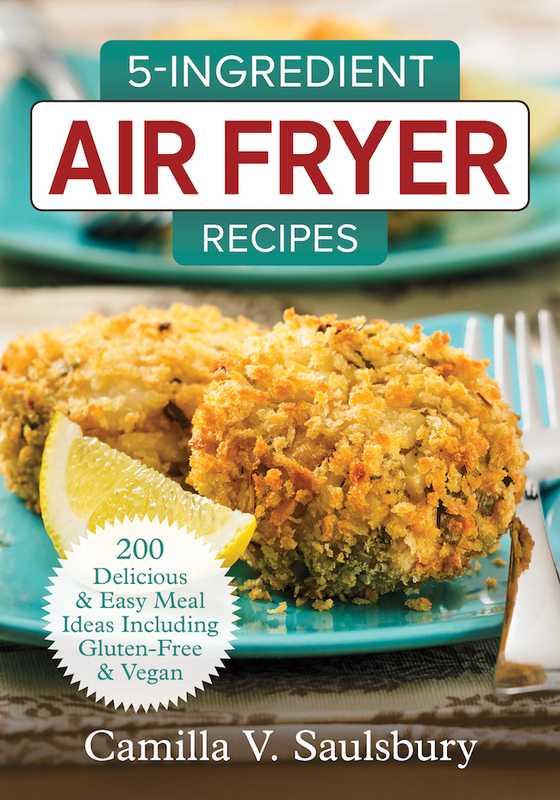 Preheat air fryer to 360°F (180°C) Spread panko in a shallow dish. In another shallow dish, stir together Sriracha and honey until blended. Working with 1 fillet at a time, dip in Sriracha mixture, shaking off excess, then dredge in panko until coated, shaking off excess. As they are dredged, place fillets in air fryer basket, spacing them evenly. Spray with cooking spray. Discard any excess Sriracha mixture and panko. Air-fry for 9 to 13 minutes or until crust is golden brown and fish flakes easily when tested with a fork. What a yummy way to prepare cod. It sounds like a nice light summertime dinner. This recipe would be great for all fish lovers and the siracha spice makes it sound so good. I know if I cook this my family would love it. That sounds so good! I love sriracha, especially with fish and seafood. Time to bust out my air fryer. Om nom nom. Wow, this sounds delicious for a fish loving family like mine. An air fryer is at the top of my want list and this recipe just adds to the desire. Fish is one of those dishes that is very versatile. Siracha spice is a nice addition to bland fish meals. I bet this is so incredibly tasty! I am totally loving the sriracha-aspect to this recipe! I’m always looking for new ways to make fish. I love fish but the family wants something to make it not so fishy… will be trying this for sure. Oh my gosh that looks and sounds like a delicious dish! I would love to try making this sometime. Thanks so much for sharing. Now this sounds delish! I bet my hubby would love for us to make him this for Father’s Day. I’ll have to pull my air fryer out an surprise him with a special dinner. Thanks! Nice! Adding this to our menu plan for next week. We are trying to have more fish in our diet to get that Omega 3 in our bodies. We resolved to eat “heart healthy” food this year. This crispy cod recipe looks perfect, and it also gives me another chance to use my air fryer! Bet my favorite son-in-law cleans this plate. love it. i love my air fryer, use it like daily. going to save this.